Computer Gaming World Comments and Highlights: This game design issue featured a new, more polished look inside the magazine. 58 pages were crammed filled with articles on game development, wargame algorithms, and a C.E.S report. 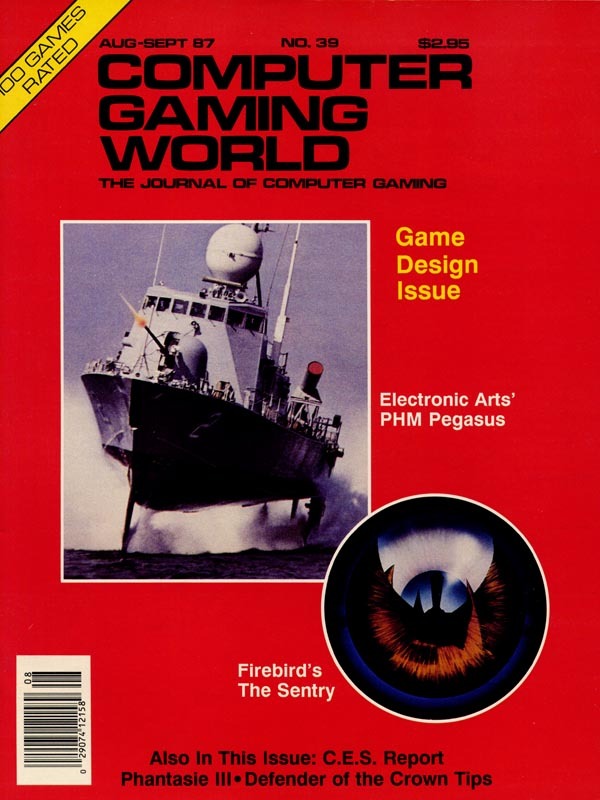 Lots of reviews too, including Phantasie III, Uninvited, and The Sentry, along with a profile of Infocom in the continuing Titans of the Computer Gaming World series.